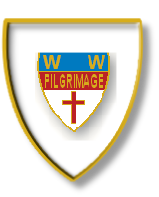 The Walsingham Walkers are a group of Catholic men who have formed an association to organise an annual walking pilgrimage from London to Walsingham. This is very much in the tradition of the Guild of Our Lady of Ransom www.guild-ransom.co.uk that used to run a similar pilgrimage for over 50 years, taking the prayers and petitions of Ransomers to the Shrine at Walsingham as part of its Novena appeal. The current Walk has been encouraged not just by the Guild, but also by the hierarchy of the Catholic Church, as evidenced by the letters that can be found on the ‘Support’ tab. "The present group of Walkers feel the time is right to hand over the reins to a younger generation of Catholic men and any who are interested are invited to use the 'Contact Us' Form on our 'Contact Us' page"